Although cancer is the leading cause of death in cats, they cannot be treated safely with many of the chemotherapy agents available to dogs and humans. 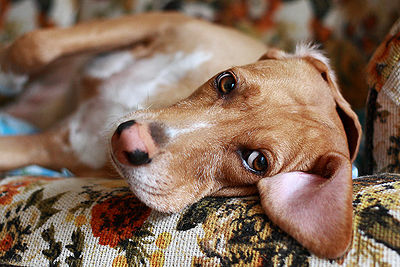 But as is the case for dogs and other pets, there is hope as research continues. The Morris Animal Foundation is funding a study at Cornell University by veterinarian, Dr. Margaret C. McEntee, to determine if the anti-cancer drug Docetaxel (which can cause anaphylactic reaction in cats when used intravenously) can be used orally in conjunction with cyclosporine. Cyclosporine, an immunosuppressive drug, is used to prevent rejection of transplanted organs. When the two are used in intravenous combination, there has been better absorption but with severe adverse side effects. When Docetaxel alone is administered orally to cats it is not absorbed well and therefore loses effectiveness. Orally given Docetaxel in combination with Cyclosporine has been tested with oral squamous cell carcinoma, the most common oral tumor in cats. It has better absorption with no severe adverse side effects. If evaluation shows the efficacy and safety of the combination in oral doses, it will offer hope for cats with oral squamous cell carcinoma and other feline cancers. The most common infectious diseases in cats are FeLV (Feine Leukemia) and FIV (feline immunodeficiency viruses). They are life-threatening diseases. FeLV can cause cancer and blood disorders. It can suppress the immune system of a cat and cause other serious infections. FIV suppresses a cat’s immune system and lowers resistance to other infections. The USDA has approved the only drug treatment for FeLV and FIV. Developed by ProLabs, it is known as LTCI, Lymphosyte T-Cell Immunomodulator. The first of its kind, it seems to stimulate the cat’s immune system to help fight the virus. It is administered by injection once a week the first month, then usage decreases depending on the cat’s response. It is not a cure and may not be effective for all cats, but studies are ongoing. Cats that are kept indoors are generally not exposed to FeLV. Currently there is a vaccine for FIV, but its effectiveness is questionable. Whether your cat is allowed outdoors or remains inside, consult your veterinarian as to whether to vaccinate or not. Surgery to excise tumors is another treatment option. There are several types – laser, radiosurgery, cryotherapy along with traditional excision of tumors. New Radiation Treatment Helps Cat– Stereotactic Radiosurgery (SRS) is a revolutionary radiation treatment that destroys tumor cells. However surrounding cells may be involved and bone can be weakened by the treatment. It has been successfully used on 37 dogs, preventing the need for amputation. In March, Sandra Lerner’s cat Cyrano, 10 years old, was diagnosed with Osteosarcoma, bone cancer, in the leg. Ms. Lerner, co-founder of Cisco Systems, learned of SRS treatment at Colorado State University Animal Cancer Center and flew Cyrano there from her home in Virginia. Cyrano had 3 radiation treatments along with chemotherapy. Cyrano continues chemo at home. Ms. Lerner graciously will help fund clinical trials for new treatments for animals with cancer. Chemotherapy, given at extended intervals in low doses has proven helpful to cats with cancer. Diet and supplements are effective in boosting the cat’s immune system. High quality food should be offered. 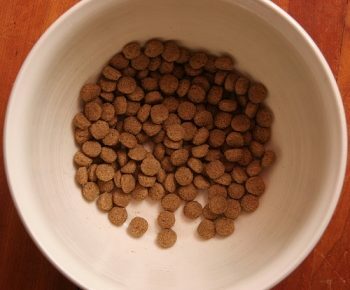 If the cat is not eating, often foods with strong odors such as tripe or favorite treats will tempt an ailing pet. Daily care such as grooming your cat may be necessary. December 2010 – There have been some advances in treatment of cancer in cats but the need for safer and effective treatments is still there. The cost of cancer treatments is high, but there is help. There are ongoing clinical trials at universities and veterinary clinics where testing is done to evaluate new medications. 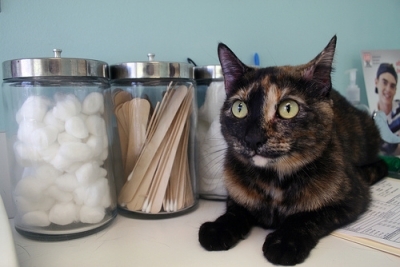 If your cat suffers from an untreatable cancer or finances are a problem, consider a clinical trial. Speak to your veterinarian or oncologist about ongoing trials. For information, go to www.vetcancertrials.org.